Emerging retail locations definitely have a cost advantage. On an average, rentals are 20-30% lower in micro markets when compared to established retail locations. 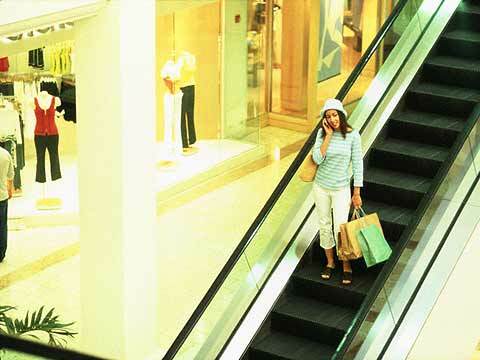 Indian retail destinations are witnessing a sea change in every aspect. Malls and main streets are becoming more advanced and attractive. Thanks to increasing competition in this space as a number of new potential retail locations are emerging. Indian cities are now overflowing and new geographical areas are being developed to accommodate growing population. And retail malls and main streets are crucial indicators of social infrastructure. As a matter of fact, appearance of malls and main streets reflect the financial influence of Indian consumers and their willingness to make purchases. Off late, international retail brands are flocking to India and these brands now occupy a significant space in emerging retail streets compared to domestic brands, according to a Cushman & Wakefield report. Select main streets such as Dwarka (Ashirwad Chowk) in Delhi NCR, NSC Bose Road in Kolkata, and HSR Layout and Sahakar Nagar in Bengaluru have witnessed sizeable penetration of foreign brands (above 20% occupancy) reflecting the tastes of the catchment and the quality of supply present here, the report says. However, main streets such as Kothapet in Hyderabad, Kharadi in Pune and Ambattur (MTH Road) in Chennai witnessed lesser levels of penetration from foreign retailers. Another interesting fact is that across the main streets, “apparel and footwear” brands had maximum penetration by area, followed by the “food and beverages” (F&B) brands, alluding to consumer preference when it comes to retail segments”, it added. ‘Emerging retail locations definitely have a cost advantage. On an average, rentals are 20-30% lower in micro markets when compared to established retail locations. Currently Dwarka (Ashirwad Chowk) in Delhi-NCR commands the highest main street retail rental, while Kothapet in Hyderabad commands the lowest main street retail rental amongst the 14 new emerging main streets’, the report added. As cities now expanding vigorously, few retail streets have now started emerging as potentially high-growth areas with progressively higher footfalls. ‘Major Indian cities like Bengaluru, Chennai, Hyderabad, Kolkata, Mumbai, Delhi-NCR and Pune are reeling under severe urbanization pressures and their geographical limits are being redrawn and extended to encompass the surging settlements’, the report said. The most crucial driver of the growth is purchasing capacity of consumers. Therefore, a good and stable job environment is needed for businesses. Following recession and shady job environment, consumer confidence had nosedived in recent times. However, India’s macroeconomic indicators have improved significantly now. In this positive scenario, retailers could identify and establish their operations in high-growth emerging locations. There are no fixed strategies applicable to all locations. Each micro market attracts a unique class of shoppers. The most challenging aspect for retailers is to create perfect product mixes to cater the demand of consumers. In given city, two main street markets located in different areas cannot simply replicate each other. While one market could attract luxury shoppers, the other market may attract need based shoppers most. It all depends on the purchasing capacity of consumers in a particular area. So, location is critical for the marketing strategy. The business model of a retail street must be synchronised with expected footfalls and purchasing capacity of people.